In California, property tax is based on the assessed value of the home at the time it was purchased. It remains at this rate, more or less, until the property is sold again. However, most counties will allow you to challenge your assessed value and tax amount if the property has declined in value substantially. If you purchased your home in 2004 or 2005, there is a very good chance that your property is worth substantially less than when you bought it. 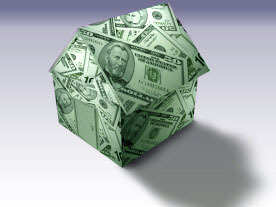 At Axiom Real Estate Appraisal, we can help you challenge your property tax bill! Depending on the value of your home, this can translate into over $1,000 a year or more in savings. We can provide you with with differnt appraisal options and the necessary forms to challenge your bill, and instructions on how to proceed. You can challenge without an appraisal, but these types of applications are often rejected because the proper comparable sales are not utilized. Feel free to call me with any questions about property tax reduction. I am here to help! If you think your home is worth a lot less than when you bought it, then your property taxes may be too high! Contact me and I can tell you how to lower your tax bill. I'm a nice guy and won't try to sell you something you don't need.